Batting stars: Jorge Polanco was 3-for-3. C. J. Cron was 1-for-4 with a three-run homer, his second. Pitching stars: Martin Perez pitched six innings, giving up one run on seven hits and two walks and striking out five. Ryne Harper struck out two in a perfect inning. Opposition stars: Teoscar Hernandez was 3-for-4 with a three-run homer. Randal Grichuk was 3-for-4 with two doubles. Justin Smoak was 2-for-3 with a walk and a double. The game: The Blue Jays got a man to second with two out in the first and with none out in the second, but could not score. They broke through in the fourth when Smoak doubled, Hernandez singled, and Alen Hanson hit a sacrifice fly. The Twins came back in the bottom of the fourth. Polanco led off with a single, Eddie Rosario drew a one-out walk, and Cron hit a three-run homer to put the Twins up 3-1. It looked like that would be enough. Perez cruised through the fifth and sixth, although he was helped in the sixth by a strange baserunning blunder (more on that in the notes). Harper had a perfect seventh. It appeared that this one would go into the win column for the Twins. It wasn't to be. Adalberto Mejia came in to pitch the eighth and the roof fell in (if there had been a roof). Freddy Galvis singled and Grichuk doubled. Smoak singled home a run to make it 3-2 and Hernandez followed with a three-run homer to put Toronto up 5-3. The Twins could do nothing in the last two innings and the game was lost. WP: Sam Gaviglio (1-0). LP: Mejia (0-1). S: Joe Biagini (1). Notes: MItch Garver was moved to the leadoff spot in the batting order. It didn't work in this game, as he went 0-for-4, but of course that doesn't mean it was a bad move. He's still batting .423. I like that Rocco seems to be willing to be creative and do some things that are unconventional. They're not all going to work all the time, but going by the book doesn't work all the time, either. Polanco raised his average to .420. I was pretty skeptical about Perez, but he pitched a fine game last night. One game does not a season make, but he got out of trouble a couple of times and didn't seem at all rattled when he was in trouble. All in all, a good performance. That baserunning play in the sixth. I'm still recovering from illness, so I was no longer following the game at that point. Hernandez was on first with one out. The play-by-play then reads "Hernandez caught stealing first, pitcher to first", which is something I don't think I've ever seen before. I gather what happened is that both the batter, Brandon Drury, and Hernandez thought that ball three to Drury was ball four. Drury trotted to first, Hernandez started to go to second, and was tagged out. 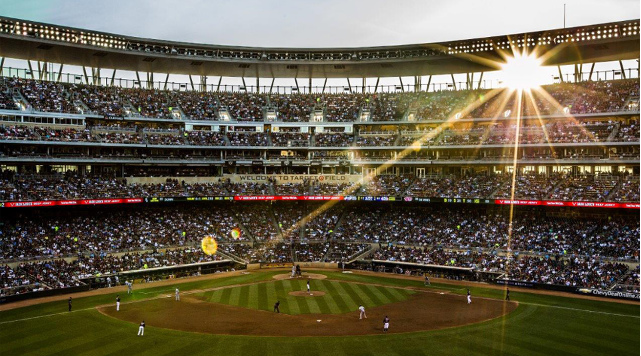 As Tim Kurkjian says, every time you go to the park there's a chance you'll see something you've never seen before. The decision to go to Mejia in the eighth was unfortunate, but it was really more a product of circumstances rather than a managerial blunder. As socal and others have pointed out, there weren't a lot of good options for Rocco. Hildenberger, Rogers, and Parker had each pitched in the last two games, and I can see not wanting to use them three days in a row, especially with no off days coming up for a while. May did not pitch two games in a row, but he had pitched Sunday and had warmed up Saturday, so I can see not wanting to use him for two innings. Perhaps he'd have pitched the ninth had the Twins remained in the lead, but we'll never know. Given all that, the options were Mejia and Andrew Vasquez, and Mejia certainly seems to be the better choice. Another option, of course, would've been to leave Harper in to pitch a second inning. We'll never know how that might have worked. But there may be another thing playing into this, too. Rocco is still trying to find out what some of his players can and can't do. He needs to know if Mejia is someone he can bring into a situation like this, or if he's simply a groundskeeper. And it's not like he brought him into the game with the bases loaded--he came in to start the inning, leading by two. That's an important situation, of course, but it doesn't seem like he was putting Mejia into a situation that was clearly too big for him. Mejia just didn't get the job done. Record: The Twins are 8-5, in first place in the American League Central, a half game ahead of Cleveland. Projected record: We'll just have to settle for 157-5! So, at what point do we resign ourselves to another crappy season of baseball? While we all enjoyed the 5-0 start, I don't think many of us felt any corners had been turned (okay, I'll admit to experiencing a few pangs of optimism (certainly nothing reaching socal levels), but they quickly subsided). Should we acknowledge it at all, or just try to remain as ignorant as Andie McDowell? Seems more pleasant that way. More wet though. The Twins flee Target Field, managing a meager 2-7 on the home stand. 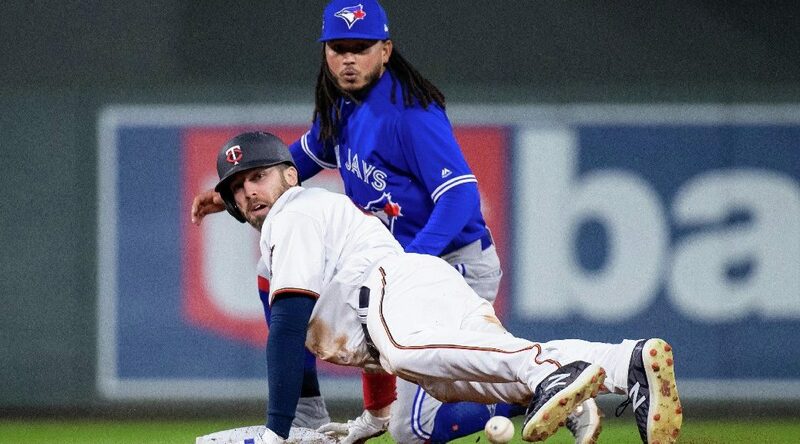 Kyle Gibson and the Twins (the former of which is pretty sure the Tigers were stealing signs) were clobbered yesterday in a messy affair to the tune of 13-4. They now hit the road for a 6 game trip, where hopefully their fortunes will improve. Tonight, they send Phil Hughes and his bulky ERA to the mound. Ol' Phil only made it 3.1 innings last time, so hopefully he can give the bullpen a little bit of a break tonight. If not, I may have to update the "Aces Through The Years" banner again. 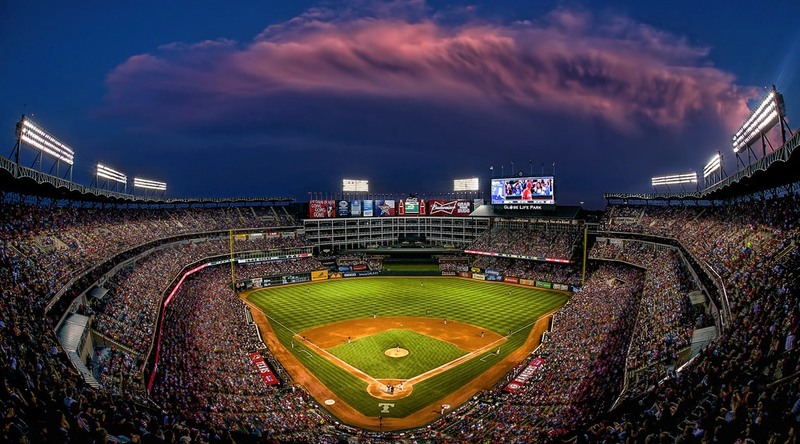 The Rangers began the year a little iffy, however they're fresh off a 4-game sweep of the Royals, so their fortunes may be improving. Perez is also coming off a less than spectacular start, managing an extra .1 innings more than Hughes. Both pitchers will be fighting for redemption! And their mother's love (perhaps)!! In other news, Boshers, one of the few brights spots of yesterday's pitching, was unceremoniously dumped back to AAA as a thank you. They will bring up Spring Training invite Nick Tepesch who has been pitching well in Rochester as of late. In a corresponding 40-man roster move, Ryan O’Rourke was moved to the 60-day DL.